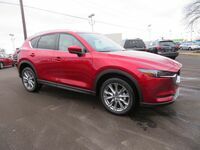 The Mazda CX-5 is easily one of the most popular two-row crossover SUVs in a class that is packed from top-to-bottom with excellent options. 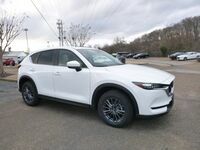 For the new model year, the Mazda CX-5 picks up several improvements and upgrades that will make any discussion of the 2019 Mazda CX-5 vs. 2018 Mazda CX-5 more interesting. 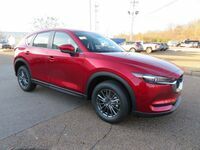 When it comes down to brass tacks, the biggest difference between the two model years is the availability of new technology in mid and upper levels of the new Mazda CX-5 as well as a significantly more powerful engine option. These combined changes put the 2019 model well ahead of its 2018 predecessor. 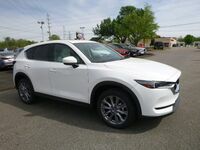 Customer can schedule a test drive with either model year of the Mazda CX-5 today by calling, 833-241-6312. Technology integration is an indispensable element of today’s automotive industry, especially in the crossover SUV segment. 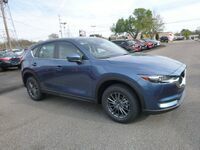 In the new model year, Gwatney Mazda of Germantown customers who choose the Touring trim and above of the 2019 Mazda CX-5 will be able to get a version of the MAZDA CONNECT® infotainment system that will be compatible with the Apple CarPlay™ and Android Auto™ suites of applications. Also, the 2019 version of the crossover SUV in the same trims with smartphone integration can have the Sport i-Activsense package added. These trims also offer a pair of additional speakers and two more USB ports. 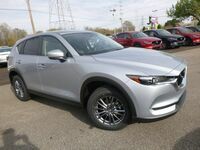 Furthering the differences between the 2019 and 2018 versions of the Mazda CX-5 are the 2019 model’s two new trims, Grand Touring Reserve and Signature. Turbo., 2.5-L, 4-Cyl. Engine 2.0-L, 4-Cyl. 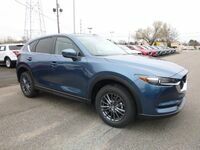 While the 2019 Mazda CX-5 offers a more powerful engine option than the 2018 model, the standard powertrains for both years remain the same. 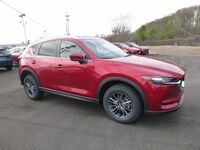 The common thread tying the performance specs of the two years is the naturally aspirated iteration of the SKYACTIV®-G 2.5-liter, four-cylinder engine attached to the SKYACTIV®-Drive six-speed automatic transmission. Each model year produces 187 horsepower and 186 pound-feet of torque. 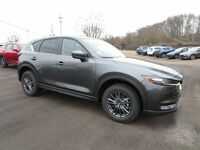 However, the new trims of 2019 Mazda CX-5 will add a turbocharger to the equation which can make the power output hit between 227 and 250 horsepower – depending on the grade of gasoline an owner uses.